Carbohydrates help your teen grow and develop at a healthy pace. Carbohydrates are your teen’s main source of energy and are essential for proper growth and development. Carbs are especially important for teenage athletes to maximize athletic performance. The amount of carbohydrates your teenager requires each day depends on his age, body weight and calorie needs. 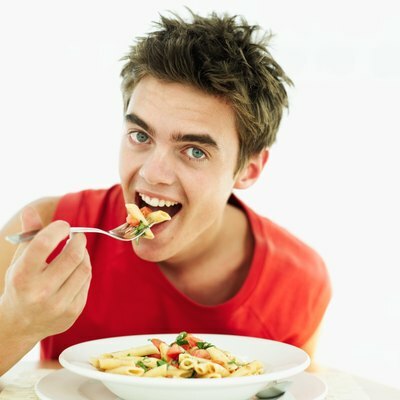 The Institute of Medicine recommends all teenagers, regardless of age and gender, consume at least 130 grams of carbohydrates each day, which is the recommended dietary allowance, or RDA, for carbs. The Institute of Medicine also encourages teens to consume 45 to 65 percent of their daily calorie intake from carbohydrates. 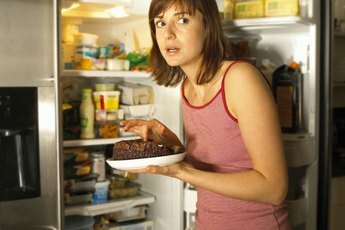 Your teen’s individual carbohydrate requirement depends on his calorie needs for healthy weight maintenance. The Dietary Guidelines for Americans 2010 estimate that girls ages 9 to 13 need 1,400 to 2,200 calories and girls ages 14 to 18 require 1,800 to 2,400 calories each day, while boys ages 9 to 13 need 1,600 to 2,600 calories and boys ages 14 to 18 require 2,000 to 3,200 calories per day. Based on these USDA calorie recommendations, teenage girls ages 13 to 18 need about 158 to 390 grams of carbs, while teenage boys require about 180 to 520 grams of carbs each day. These values equal between 45 to 65 percent of their calorie needs. Teenage athletes require more carbohydrates than non-athletes, because carbs are the primary fuel source during sports competitions and training. A 2008 edition of “Today’s Dietitian” reports that young athletes need 3 to 8 grams of carbohydrates per kilogram of body weight during periods of light to heavy training and 8 to 9 grams of carbs per kilogram during pre-event carbohydrate loading. This is equivalent to about 1.36 to 4.1 grams of carbohydrates per pound of body weight each day. 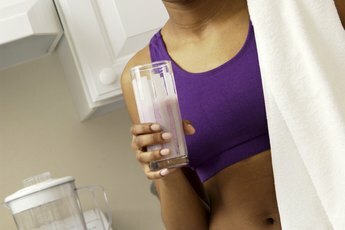 Based on these recommendations, a 150-pound teen athlete should consume 204 to 615 grams of carbs each day. Healthy, high-carb foods for teens include whole grains, whole-wheat pasta, brown rice, legumes, fresh fruits and vegetables, milk and yogurt. Smaller amounts of carbohydrates are found in nuts and seeds. 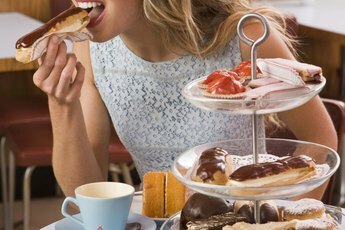 High-carb foods teens should limit or avoid include sweets, sugars, syrups, sugary drinks, such as soda, refined grains such as white bread, pastries, doughnuts and ice cream.